Hello! Being back in Richmond for spring break means shopping- and a lot of it! But I am a broke college student after all and so all my shopping over spring break has been primarily at thrift and consignment shops so far. However, I tend to prefer shopping at thrift/consignment shops much more than just at fast fashion retailers in the mall. There are so many issues with fast fashion- from environmental problems caused by the immense waste created through fast fashion to the fact that fast fashion supports unethical working conditions. These issues are not as prominent in secondhand shops. 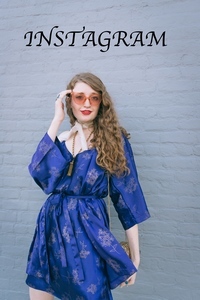 Shopping at thrift shops/consignment shops also allows me to add more unique pieces to my wardrobe and not break the bank. One of my first shopping stops when I got back to Richmond was at Ashby in Carytown. I know that I've raved about Ashby before but I seriously cannot get over my love for that store. 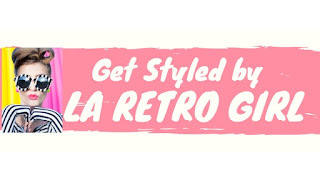 They sell and buy stylish gently worn clothing, accessories and shoes. I actually don't know what I would do without Ashby. I love selling my clothes and getting store credit back to instantly boost my wardrobe. I've actually stopped by the store almost every day that I've been back, I can't get enough of it. I also love how quickly their merchandise moves; you can go in everyday and still find something new. 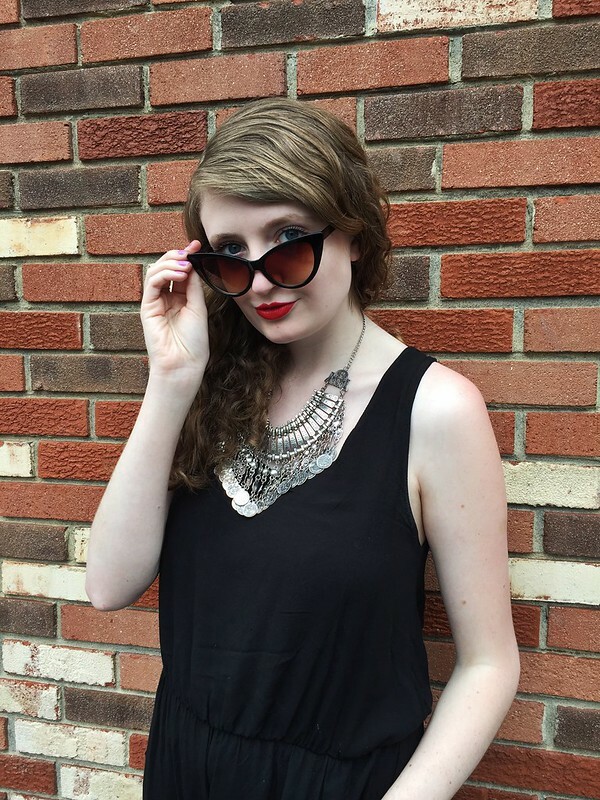 On one of my recent visits, I purchased both this black jumpsuit and these black cat-eye sunglasses. I'm obsessed with them both and can't wait to wear them throughout this season. The open-back, simple silhouette and versatile black color of the jumpsuit immediately drew me in and of course, how could I resist such a hot pair of 1950's-inspired sunglasses? 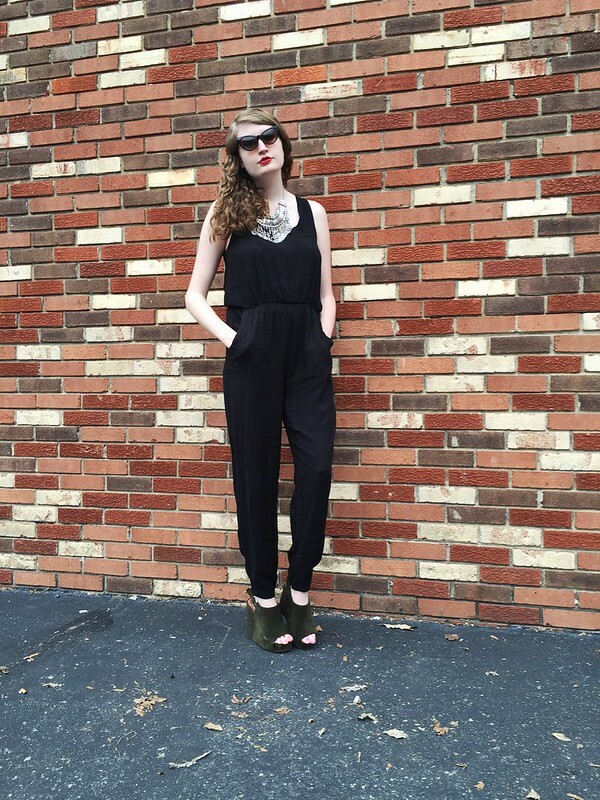 The jumpsuit cost less than $15 and the sunglasses cost about $10- not a bad deal! 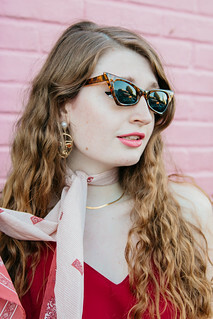 For this look, I styled the jumpsuit with the cat-eye sunglasses as well as with a major statement necklace, bold red lipstick and green suede wedges. If you live in Richmond or near Richmond, I would suggest a shopping trip to Ashby. You won't be disappointed by their selection of stylish, affordable merchandise. Ashby is located at 3010 West Cary St in Carytown, right next to Mellow Mushroom.